Claiming a career-first overall victory, Rockstar Energy Husqvarna Factory Racing’s Billy Bolt has ended the 2018 FIM SuperEnduro World Championship as runner-up in the final championship standings. Delivering arguably the best performance of his career, series rookie Bolt raced his way to two wins from three starts at the final round of the championship in Sweden to secure the top step of the podium. 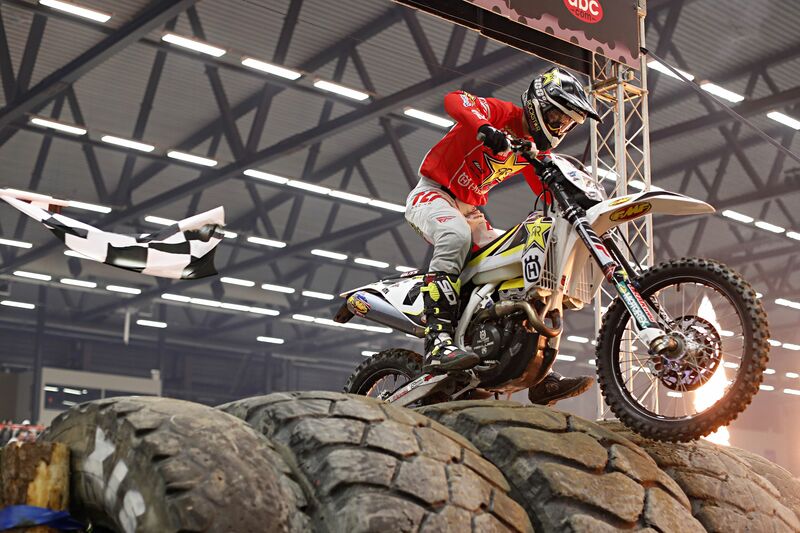 Entering the fifth and final stop of this year’s SuperEnduro series in Lidköping on top form following a victory at last weekend’s British Extreme Enduro Championship, the Husqvarna rider was determined to end his first season of indoor enduro racing on a high. Proving fast from the off, the 19-year-old put in a fantastic opening heat race to place a close second behind rival Taddy Blazusiak. Making the best of the reversed start order for heat two, Bolt put his FE 350 out front at the end of lap one. Despite slipping back to second on lap three, he continued to apply pressure on race leader Manuel Lettenbichler before retaking the lead with four laps to go. Upping his pace, he broke clear of the chasing pack to win by almost eight seconds. Knowing the chance of winning his first overall podium was within his grasp entering the third heat of the night, Bolt kept his composure and remained focused on the job in hand. Making a near-perfect start, the Husqvarna rider took control on lap one and was never headed, despite early pressure from Blazusiak. Going on to secure a comfortable margin of victory, Bolt claimed the top step of the podium while also ending the 2018 series as runner-up. For out-going champion Colton Haaker, the final round of the championship in Sweden was another difficult outing. Starting things off positively with a third-place result in heat one, Haaker finished fourth in heat two. In contention for a possible podium result, numerous mistakes in heat three saw him finish seventh, dropping him back to sixth overall on the night. Download high-res images from Sweden here.